Cold laser therapy is one of the latest advanced methods used for pain control. It’s a method that is non-invasive, which means that it does not penetrate the skin in any way whatsoever. 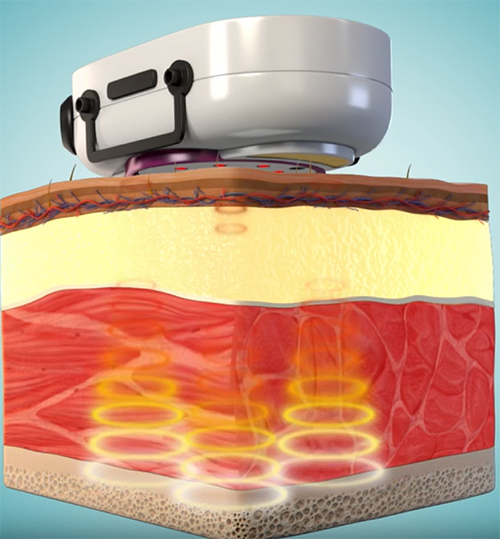 When a treatment is non-invasive, it’s always to your full advantage. Once the skin is penetrated, there’s always a possibility of an infection developing, or tissues that are damaged. That doesn’t happen with cold laser therapy. Cold laser therapy does use wavelengths of light to affect the tissues that are hurting and/or injured. This type of therapy is great for conditions that are accompanied with pain, swelling or spasms. Cold laser therapy light ‘touches’ the skin directly for anywhere from 30 seconds to several minutes. The photons in the healing wavelengths of the cold laser light can enter the skin and penetrate to a depth of about 5 centimeters. The photons are absorbed by certain parts of the cells that wait to interact with the photons. Then a series of quantum energy changes occur within the cells and affect the metabolism of the cells in a positive way. These changes reduce pain and inflammation and stimulate circulation, creating an overall net effect of healing. But don’t worry if you can't understand quantum physics! The bottom line is that the cold laser is one of those hidden secrets of healing that chiropractors have and is something that medical doctors don’t generally use. Whether you have back pain, neck pain, disc herniation, carpal tunnel syndrome, or a sprained ankle, cold laser therapy may be one of your chiropractor’s choice treatments for your condition. Many of our patients in the Cheektowaga region have benefited from cold laser therapy combined with chiropractic adjustments. Dr. Palmer will be happy to explain how cold laser therapy works and whether it's a good treatment option for you. Call Buffalo Chiropractic in Depew/Cheektowaga to find pain relief today!